He was on vacation far from home. There was a sign for inner tube rafting. It seemed like fun. The water wasn't rough. A bit of adventure, but not much risk. Thing is, these are actually risk factors for Leptospirosis. Leptospirosis can be a serious disease, but luckily, for most, it is not. Most cases cause no problems; 90% cause little or no symptoms. But sometimes the disease often called Lepto, can be serious and even deadly. It's a disease found around the world that is often not recognized. Its risks aren't noticed. The disease - gross as it is - is spread when people come in contact with water or mud that has had rat (or other animal) pee in it that carries the bacteria. Leptospirosis is a disease that is preventable and treatable. Recognizing the risks and the disease is important. 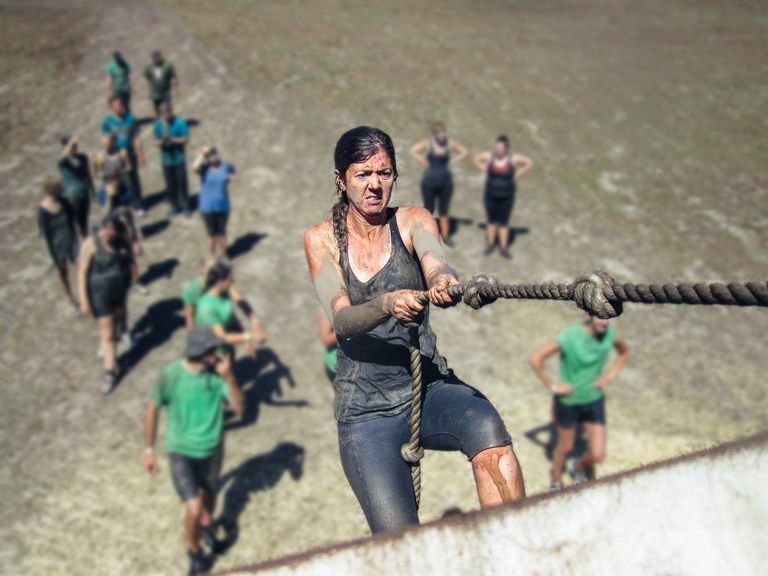 Lepto grabs headlines when - in very rare cases- it transforms what seems like a small adventure or a race with a bit of water or mud into hospitalization or something worse for an otherwise healthy athlete. Infections can occur anywhere around the world. Leptospirosis cases were noted in Idaho and Los Angeles and then traced back to an "Eco-Challenge" adventure race in Borneo in Malaysia. This competition, which involved swimming in a river, led to a number of infections. A survey found 50% were sick out of the seasoned athletes who were contacted from among the over 300 participants from 26 countries. Likewise, a patient in New York traced the infection back to a race through a swamp in Florida, which had actually led to infections in almost 1 in 4 competitors. Triathalons in Wisconsin and Illinois have also led to infections. Infections can also come from rowing, kayaking, inner-tubing, swimming through water that seems safe. A past Olympic Gold Medal rower died in London contracted Lepto. Swimmers are advised to avoid certain freshwater locales in Hawaii - the state with the highest risk of Leptospirosis. The disease also has been caught from rafting down a river in a tire inner tube in Vang Vieng, Laos. A staff outing to white-water rafting in Sri Lanka infected 17 of 19. Competitors in a canoe race down the River Liffey in Ireland (which runs through Dublin) were also infected. Overall, the disease can be due to swimming, rafting, canoeing, kayaking, splashing or wading in water or through mud, and other activities in the mud or water. The cause is pretty gross - rat pee. Touching water, soil, or mud contaminated by rat urine that carries the bacteria can lead to the disease. It can also be spread by urine from other animals - dogs, pigs, cattle, or even people, in rare cases. Protective footwear and clothing are needed for any exposure to contaminated water, soil, or mud. There is concern that swallowing contaminated water is more dangerous. Most people affected with Leptospirosis are not athletes on an adventure. Most affected live in warm climates. They are either exposed occupationally or through their living conditions. It is thought 0.1 to 1 per 100 000 in temperate climates are infected each year and 10 or more per 100 000 in tropical climates. Flooding can lead to outbreaks, especially with changing environmental trends. A cyclone in Orissa, a Typhoon in Taiwan, and Hurricanes in the Caribbean and Central America. Although lepto is not associated with salty or sea water, it has been found that after a storm surge, contaminated soil in flooding water could place people at risk as seen after a Typhoon (Yolanda) in the Philippines. Those who live in urban areas are often affected - if there isn't sufficient investment in sanitation, water, and rat control. Particularly at risk are those who live in crowded urban areas. Public works - clean water, trash collection, vermin removal, sanitation - protects us from leptospirosis. Areas without good water and sanitation efforts can face more leptospirosis. Strikes have also increased disease spread. New cases (3) were noted when rats and the bacteria spread due to heavy rainfall and garbage collection strikes in Marseilles, France. Infection is not just in urban areas. Those who work on rice paddies or in cutting sugar cane are particularly at risk. have occupational exposures may have high risk, including farmers, sewer workers, homeless, mine workers, veterinarians, and slaughterhouse workers. Those in the military may also be at risk. There have been multiple cases - either from recreation or from training exercises. What Is the Disease Like? Most (90%) have no symptoms or only a mild illness. It can be a very, very mild disease. The disease symptoms will also depend on what stage of the disease the person is in and what strain of leptospires (the bacteria that causes leptospirosis) is caught. Some illnesses seem like the flu. Many will have a fever, chills, headache, muscle aches. Some will have chills, vomiting, diarrhea, abdominal pain, yellow eyes and skin (jaundice), red eyes, rash. Pain can also be intense in the calf, thigh, and back muscles. Many of these symptoms can be mistaken for other diseases. The time between exposure and illness may be 2 days to 4 weeks. Sickness often begins abruptly with fever. The illness often has 2 phases. Second Phase - if it happens - is more severe. The patient may develop kidney, liver, or respiratory failure, as well as meningitis. This phase may be called Weil's disease or the icteric form (as patients may have yellow eyes - ie icteric). The disease can last days or weeks, especially if the disease progresses to the second phase. Some become critically ill, especially without treatment. Others may take weeks or even months to recover. Most cases are likely not diagnosed. Of those cases that are diagnosed, maybe 1- 5% die. Those who progress to the second phase, Weil's disease, about 5-10%, are at more risk. They can face liver, kidney, or respiratory failure, as well as hemorrhage. This can lead to death or permanent damage. Those who develop the rare ARDS or pulmonary hemorrhage face a much higher rate of death - up to 50%. The disease is often slow to be diagnosed. This delays care. Those who have little access to water sanitation and rat control may also lack access to needed health care. Those who travel may also return home to doctors who are not familiar with the infection. Likewise, leptospirosis is often confused with diseases like dengue, which is unrelated happen to have similar symptoms and also occurs in outbreaks during flooding or when public systems for water and sanitation are limited. A study found a substantial risk of death from "dengue" was to have untreated leptospirosis and not dengue. In Puerto Rico, 10 of 12 deaths dengue examined were positive for leptospirosis. Dengue is not treatable with antibiotics; lepto is. Leptospirosis in pregnancy can lead to stillbirth or congenital infections. Leptospires are long, thin, motile bacteria called spirochetes. There are different strains - over 200 in fact. Different strains can be found in different parts of the world, accounting for some, but only some, of the differences in disease presentations around the world. The most common strain is icterohaemorrhagiae, which can be associated with common rats (Rattus norvegicus) in the US. Different tests can be used for diagnosis - including PCR, antibodies, culture, and microscopy. Because of the need to treat the infection, delays in diagnosis should not delay care if the clinical diagnosis is made. Leptospirosis is not always the easiest to diagnose. It often requires a special lab. Early in the infection, antibodies will not be positive, so other tests are needed. It is a nationally notifiable disease in the US. Leptospirosis should be treated with antibiotics (doxycycline, penicillin, or ceftriaxone). For dogs, there is. Only a few serovars (strains) are covered. For humans, an effective vaccine would need to cover a number of serovars and research has been undertaken for years. Can Your Pets Get Sick? Yes, especially your dog. Your dog can get sick from leptospirosis as your dog probably jumps into contaminated ponds and runs through mud more than you do. There's a vaccine for your dog the form of leptospirosis vaccinated, but the vaccine cannot cover all strains. If your dog is infected, this is a good reason to not touch their urine - or any other excrement - with your bare hands and to wash well if you might have. Vaccination of dogs has likely reduced infections in children and others in the US. It is rare for a cat to be sick with leptospirosis, but your cat can become infected. Your cat may, in fact, be infected without you knowing. Cats have a lot more contact with rodents than a lot of animals do. The infection can be shed in their urine while they appear fine. Another good reason not to come in contact with cat pee. Don't participate in races if have open wounds.